Newport Beach is a great destination for foodies, home to excellent restaurants serving delicious food in a romantic setting. Once you are done exploring the beautiful beaches and attractions in Newport Beach, be sure to leave plenty of time for dining out on your trip. Here are some of the best restaurants in Newport Beach. The iconic, ‘50s-inspired Beachcomber Café serves a popular breakfast and classic Californian cuisine. You can’t go wrong with tasty dishes such as the Coconut Macadamia Pancakes, Shrimp Chile Relleno, or Grilled Swordfish. Wash it all down with a delicious, handcrafted cocktail like the Lemon Ginger Martini. The Beachcomber Café was brought back to life in 2006, and it is housed inside a charming converted cottage. Beach chairs and umbrellas are also available for rent for a relaxing day by the sea. 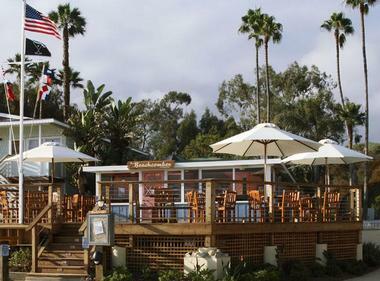 Enjoy the vintage beach resort ambiance at The Beachcomber Café, located in the Crystal Cove Historic District. Andrea at Pelican Hill serves upscale Northern Italian cuisine made from the freshest, locally sourced ingredients. Enjoy astounding views of the Pacific while savoring incredible dishes such as Wagyu Beef Carpaccio, Whole Grain Cavatelli (with wild boar ragout, chestnut puree, orange ricotta), or the Italian Sausage-Stuffed Quail. All pastas are handmade daily, and they boast an award-winning wine list. Italian born Chef Marco Criscuolo is the mastermind behind the culinary creations. 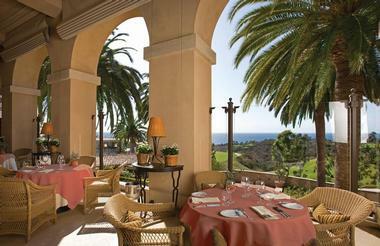 The restaurant is part of The Resort at Pelican Hill, which opened in 2008. You will find it near the Pelican Hill Golf Club. The Cannery is a beautiful restaurant that specializes in creating incredible seafood dishes using only wild, line-caught fish. Savor exquisitely prepared dishes like Mediterranean Seafood Salad, Crudo Tostada, Sweet Shrimp Pot Pie, or Venison Steak. Don’t miss their delicious sushi and sashimi. They boast an award-winning wine list and fabulous full bar. Although the history of The Cannery dates back to 1921, Jack Croul most recently purchased the restaurant in 2000. He entrusted renowned restaurateur Ron Salisbury to bring it back to life. 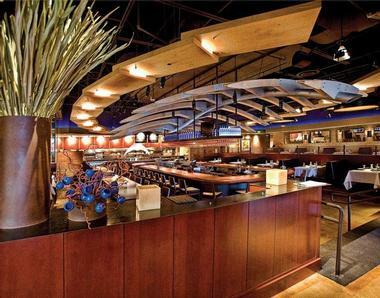 Enjoy a sophisticated meal at The Cannery, located on the edge of Newport Beach’s Lido Peninsula. Javier’s is a popular restaurant that serves elevated Mexican cuisine and boasts the largest selection of fine tequilas on the West Coast. You can’t go wrong with incredible dishes such as the Steak Picado, Ceviche de Ahi, Trio de Enchiladas Del Mar, or the Filete Costeño (a prime center-cut steak and a Dungeness Crab or Maine Lobster enchilada). Enjoy hand-shaken margaritas, rare tequilas, craft cocktails, beer, or wine. Owner Javier Sosa opened the original Javier’s in 1995 and has since expanded it to four locations (including one in Mexico). You will find the Newport Beach site at the Crystal Cove Promenade. 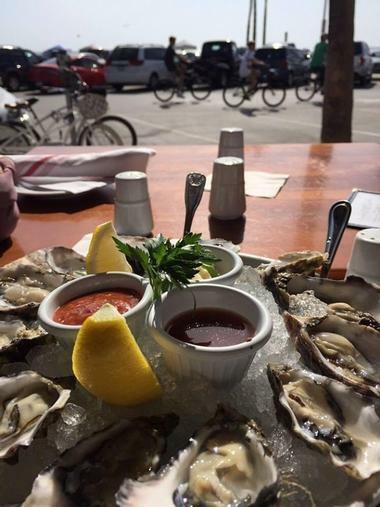 Fly ‘N’ Fish is one of Newport Beach’s greatest places to grab some incredible, fresh seafood with ocean views. Prepare to be wowed with dishes like the award-winning New England Clam Chowder, Bacon-Wrapped Scallops, Caribbean Lobster Tacos, or Saffron Bacon Risotto. Wash it all down with something from the full bar, a craft beer, or a selection of fine wine. Restaurateur owners Rick and Steve Loomis opened the eatery in 2012, and TV’s renowned Chef Julio Hawkins is the mastermind behind the culinary creations. 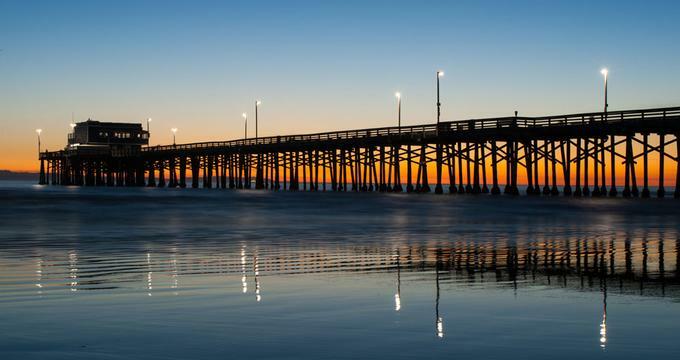 Catch the sunset at this hidden treasure, located on the Boardwalk close to the Newport Beach Pier. Harborside Restaurant has an award-winning menu that focuses heavily on fresh, delicious seafood. Savor the unbelievable flavors of passionately prepared dishes like Orange Coconut Crusted Salmon, Alaskan King Crab Legs, Mahi Fish Tacos, or Korean BBQ Beef Short Ribs. They also offer beer and wine and have a full bar. Owner David Salisbur, opened the Harborside Restaurant in 2004. Enjoy a casual meal in a friendly setting overlooking the water at this charming eatery located in the famous, historic Balboa Pavilion building (built in 1906) on Balboa Peninsula. 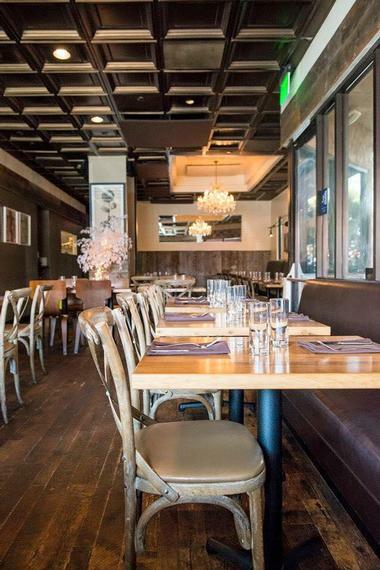 Eat Chow is a fun neighborhood restaurant that serves delicious New American cuisine. Treat yourself to tasty dishes such as the Braised Short Rib Sloppy Joe, the #1 Ahi Burger, or BBQ Duck Enchiladas. Or stop in for breakfast and try the Chow Benedict! Late restaurateur Eric Doran and current co-owner and Executive Chef Brian McReynolds originally co-founded Eat Chow in Costa Mesa. Amy Curran (longtime friend and business partner of Doran) has been part of the team from the start and is also co-owner. Visit their charming eatery right off Pacific Coast Highway close to West Newport Park. The award-winning Wildfish Seafood Grille serves exquisitely prepared steak and seafood cuisine in a hip, metropolitan atmosphere. Savor the incredible flavors in delicious dishes like the Hawaiian Yellowtail Sashimi, Parmesan-Crusted North Atlantic Lemon Sole, or a sixteen-ounce New York Strip Au Poivre. Enjoy a world-class wine or a signature cocktail with your meal. Restaurateurs Larry Foles and Guy Villavaso founded Wildfish ten years ago, and since then, it has grown to include three more locations across the country. Perfect for a classy business dinner, a casual get-together, or a romantic night out, Wildfish Seafood Grille is located close to UC Irvine’s University Research Park. 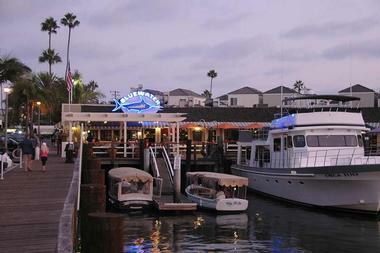 Bluewater Grill serves some of the best, freshest seafood in the Newport Beach area. You can’t go wrong with unbelievable dishes like the Ponzu Sashimi Sea Scallops, Chipotle Blackened Swordfish, Crab “BLTA” Sandwich, or the Grilled Mahi Mahi Sliders. All seafood they serve is sustainably caught or farm-harvested. Co-founders and owner Rick Ulcickas and Richard Staunton opened Bluewater Grill in 1996 at its iconic original location in Newport Beach. It has since expanded to seven locations nationally. Enjoy breathtaking views of the ocean as you dine right over the water at the Newport Beach site, located on the Lido Peninsula. Bosscat Kitchen & Libations serves up incredible Southern cuisine in a fun and relaxed atmosphere. Treat yourself to savory dishes such as the Barbecue Porchetta Sandwich, Rock Shrimp & Hoppin' John’s Gouda Grits, or the Twelve-Hour Beef Short Rib. You can also stop in for brunch and try the Crawfish & Bacon top Ramen Scramble. They offer an impressive whiskey list and a nice selection of beer, wine, cocktails, and spirits. Restaurateurs Leslie Nguyen and John Reed opened Bosscat in 2014 and have brought in Chef Peter Petro to dream up the culinary creations. 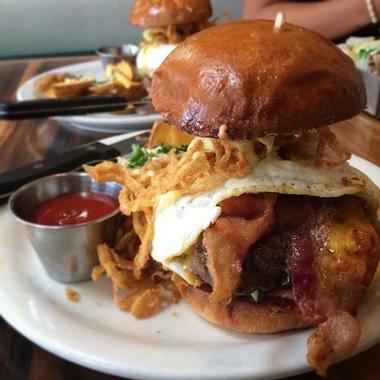 You will find their hip restaurant down the street from the John Wayne airport. Juliette Kitchen + Bar is a trendy new American bistro that serves French-inspired foods, all made from fresh, seasonal, locally sourced ingredients. Enjoy intensely flavorful, passionately prepared dishes such as the Albacore Tataki, Farro Risotto, Lamb Leg Tartine, or Roasted Tasmanian Sea Trout. 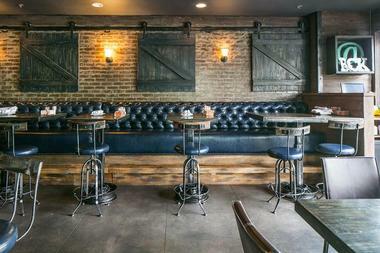 Innovative, handcrafted cocktails, beer, and wine are also available. Husband-and-wife restaurateur team John Hughes and Juliette Chung opened the charming eatery in 2012. Executive Chef Daniel Hyatt is at the helm of this kitchen. Stop in and enjoy the warm, rustic, chic setting at Juliette Kitchen + Bar, located close to the Newport Beach Golf Course. » Bear Flag Fish Co.
© Bear Flag Fish Co.
Bear Flag Fish Co. is known for their tasty seafood creations. Start your meal with the Peruvian Ceviche appetizer before diving into incredible dishes like the Panko-Grilled Fish Tacos, Bear Flag Burrito (with the Grilled Fish of the Day), La Bamba Roll, or fresh poke. Newport native Thomas Carson grew up on fishing boats and brings his extensive knowledge of and passion for seafood to Bear Flag Fish Co., which he opened in 2007. 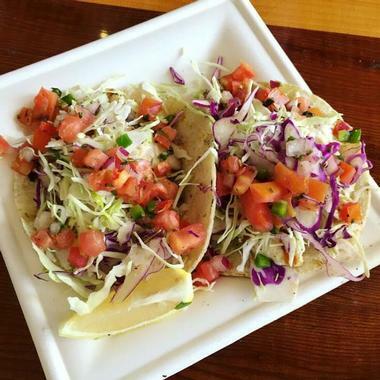 Enjoy a casual lunch at this fabulous little eatery located on the Balboa Peninsula. The popular Red O Restaurant serves delectable steak and seafood with an authentic Mexican twist. 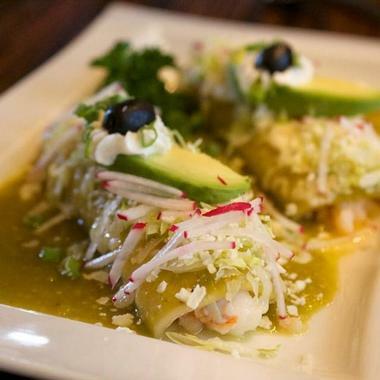 Savor boldly flavored dishes like Wild White Mexican Shrimp Enchiladas Suizas, Fresh Corn & Goat Cheese Tamales, or the 18 oz. Wood Grilled Prime Cowboy Ribeye. Wine, beer, and handcrafted cocktails are also available. 2009 winner of Bravo’s Top Chef Master, Chef Rick Bayless opened the original restaurant in LA in 2010. He and the Red O team expanded it to the Newport Beach location in 2013, and they have since added a third site in Santa Monica. Visit the Red O Restaurant at the Newport Center. A Restaurant serves seasonally inspired New American cuisine made from fresh, locally sourced ingredients. Your taste buds will go wild over incredible dishes like Cauliflower Steaks, Niman Ranch Pork Schnitzel, Jumbo Diver Scallops, or the Sherry Lobster Bisque. They also offer wine, beer, and cocktails. The building that houses A Restaurant was originally constructed as a service station and diner-style restaurant (called The Arches) in 1925. Chef Jonathan Blackford and his partners Jordan Otterbein and "McG" took over the place in 2006. 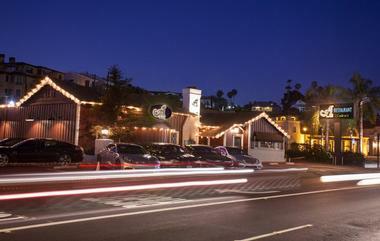 You will find their restaurant on Pacific Coast Highway just down the street from Balboa Coves. The Winery is a hip, vibrant, award-winning restaurant that serves contemporary California regional cuisine in a sophisticated setting with waterfront views. Treat yourself to expertly prepared dishes such as the Colorado Buffalo Carpaccio, Chili Lime Rubbed Hawaiian Mahi Mahi, Slow Braised Angus Beef Shortrib, or the Cajun Flatiron Steak. An impressive, ever-changing, globally influenced wine list is also available, as is a full bar. The Winery is owned and operated by a powerful trifecta that includes JC Clow, William Lewis (Sommelier), and internationally-renowned Chef Yvon Goetz. 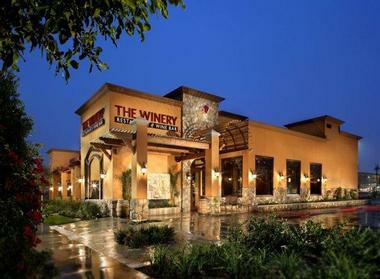 Enjoy an elegant dinner at The Winery, located next to the Newport Beach Marina. 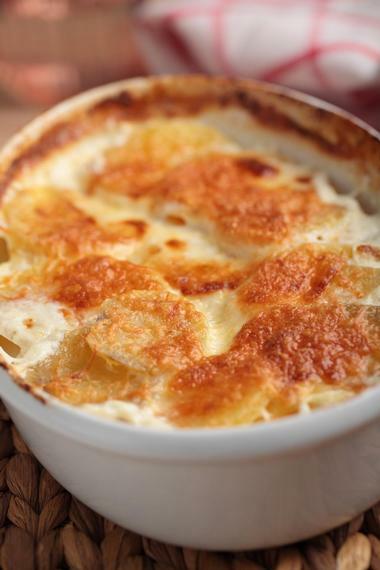 The charming Pescadou Bistro serves down-to-earth French cuisine in a friendly, light-hearted setting. Treat yourself to spectacular, lovingly-prepared dishes such as the Braised Rabbit, Provence-Style Prince Edward Island Mussels (with garlic, herbs, tomato, and Pernod), or the Lamb Chops with Ratatouille. The restaurant also boasts fine wines and a prix fixe menu. Pescadou was originally founded by Daniel Sidhoum in 1998, but was taken over by Chef (and restaurateur) Jacques de Quillien and his wife Olga (Daniel’s sister) in 2002. 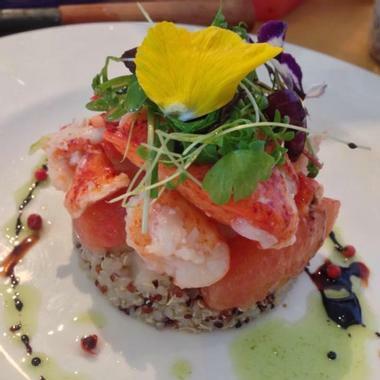 Enjoy a lovely lunch or a romantic dinner at Pescadou Bistro, nestled in the heart of central Newport Beach. 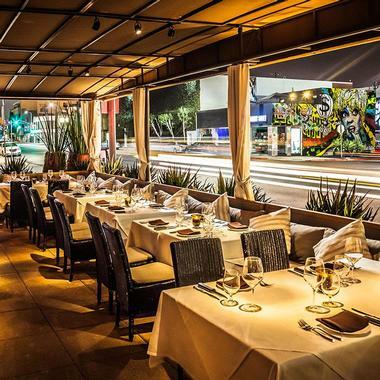 Il Farro restaurant serves some of the best authentic Italian cuisine in Newport Beach. Start your meal off with the Carpaccio di Bue e Sedano appetizer before diving into incredible dishes like Branzino all’ Aqua Pazza, Farrili Andalusa (made with low gluten, organic pasta), or a Quattro Stagioni pizza. Everything is made from the freshest seasonal ingredients, and signature cocktails and fine wines are also available. Italian born Domenico Maurici opened this classy eatery in 1993 and runs the place with his brother Michele. 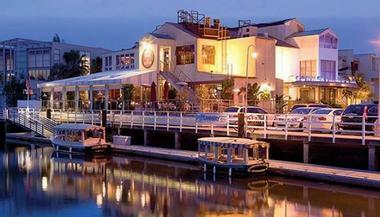 Enjoy a romantic dinner at Il Farro, located right next to the Newport Pier. The award-winning Mastro’s Ocean Club is a chic fish house that serves incredible steaks and seafood. 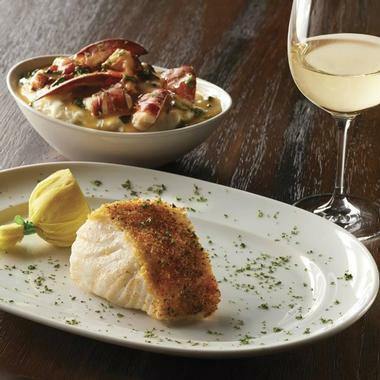 Dive into spectacular dishes such as the Vanilla Battered twin Lobster Tails, Sautéed Sea Scallops, or a Bone-in Ribeye. A variety of tasty sushi is also available, as is an eclectic wine list, craft beer, and cocktails. The restaurant was originally founded as a family-owned restaurant (Mastro’s Steakhouse) in Scottsdale, AZ in 1999, but Mastro’s Restaurants, LLC acquired the business in 2007. It now has many locations and sister restaurants throughout the country. Enjoy the sophistication that is Mastro’s Ocean Club, located just south of Crystal Cove Historic District. The iconic Rusty Pelican restaurant serves fantastic seafood and steak in a hip, chic setting. You can’t go wrong with spectacular, fresh, and seasonal dishes such as the Baked Pesto Wild Isles Salmon, Macadamia Nut Mahi Mahi, or Snapper with Lemon Caper Butter. Stop in for brunch and try the amazing Steak Breakfast Burrito. Enjoy Rusty Pelican’s beautiful waterfront views and award-winning wine list. Originally founded by local businessman Pete Siracusa in 1972, this restaurant has since been acquired by Bubba Gump Shrimp Co. You will find it near Newport Harbor across the channel from Lido Isle. Newport Landing Restaurant’s heavily seafood-influenced menu goes perfectly with its spectacular panoramic views of Newport Harbor, Balboa Island, Newport Center, and the distant peaks of Saddleback. Treat yourself to incredible dishes like the Ahi Poke Stack appetizer or the Swordfish & Shrimp Kabob. Or perhaps something from the oyster bar? 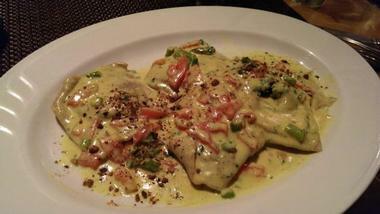 Stop in for brunch and try the Chicken Crepes. They also offer lovely wine and cocktail programs. 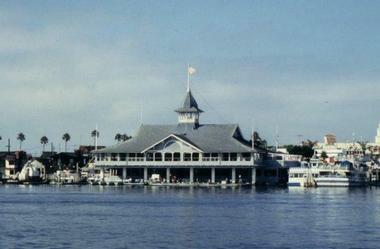 Newport Landing is located close to the historic Balboa Island Ferry on Balboa Peninsula. Bluefin restaurant serves innovative Japanese cuisine with modern European influences. Savor exquisitely prepared dishes such as the Calamari Mango, Chilean Sea Bass (with grilled vegetables, truffle butter, and soy sauce), Wagyu Beef Tobanyaki, or Sesame Tofu with Sea Urchin. A variety of incredible sushi and an impressive sake list are also available. For the full experience, put your trust in critically acclaimed Chef Takashi Abe and go with the unbelievable omakase menu. Chef Abe opened the sophisticated eatery in 2008. Enjoy stunning ocean views and the waterfall-enhanced setting at Bluefin, located at the Crystal Cove Promenade. Bear Flag Fish Co., Photo: Bear Flag Fish Co.